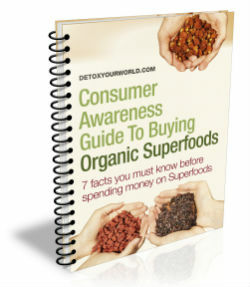 Our national appetite for superfoods has grown demonstrably over the last decades – especially after the publication of bestselling book, ‘Superfoods’, by Michael van Straten and Barbara Griggs, in 1990. Since then, we’ve seen an increasing availability of ever more exotic superfoods in our health food shops and supermarkets. And, whilst most of us recognise that there is no such thing as a ‘miracle’ food, we intrinsically understand that enhancing a varied and balanced eating regime with a selection of nutrient-dense foods (for in essence that’s what superfoods really are), can offer a number of important health benefits. Organic chia seeds are just one in a long line of new superfoods that are currently making the headlines and grabbing our attention – so, is this superfood from South America just another fad, or can it really make a valuable addition to our daily diet? Let’s find out! Organic chia seeds are extracted from a flowering variety of mint plant known as the ‘Chia’ or ‘Salvia Hispanica’. It is native to southern parts of Mexico and Guatemala where it has been treasured as a valuable source of food and medicine by indigenous peoples, such as the Mayans, Aztecs and Tehuantepecs, for centuries. Indeed, the tiny seeds, which are marble to white, brown, purple and black in colour, were once so revered by the Aztecs that they used them as a form of currency, and they were a key ingredient in ancient Mayan ceremonial drinks. 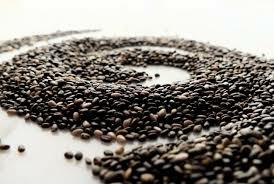 The wider cultivation of organic chia seeds only really began around three decades ago, when Dr.Wayne Coates (an agricultural engineer) began promoting chia as an alternative crop in Argentina, and actively advocating the seed’s myriad health benefits. Organic chia seeds – superfood fact or fiction? Protein – one 28-gram serving of organic chia seeds contains 4.4 grams of protein, almost 10 per cent of our recommended daily intake, making them an ideal source of protein for vegetarians. Omega-3 fatty acids – which are vital for respiration and the lubrication and strengthening of our cells, and, as they cannot be manufactured by our body, must be obtained from our diet. As with many other superfoods, the regular consumption of organic chia seeds can reward us with a number of special health benefits. The four most commonly associated with organic chia seeds are outlined briefly below. According to a recent report by the BBC, some 64% of UK adults are now officially classed as overweight or obese. As most fad diets ultimately fail, the only way to lose weight for good is through plenty of exercise, coupled with a healthy, balanced diet that is rich in the type of superfoods that gently encourage natural and sustainable weight loss. Organic chia seeds, which are able to soak up more than 12 times their own weight in water and thus leave us feeling remarkably full (even after a small serving), are one such fat-busting superfood. In addition to significantly reducing our appetite, they also boast an extremely low glycaemic index rating of 1, which means that they can help to decelerate our absorption of complex carbohydrates and prevent the sugar highs and lows that trigger food cravings. And a single portion of organic chia seeds contains more than 40% of our recommended daily fibre intake, which promotes regular bowel movements and again, helps to slow down digestion, keeping us sated for longer. Organic chia seeds are also rich in omega-3 fatty acids – in fact the superseeds contain 600% more omega-3 fatty acids than Atlantic salmon. Omega-3 fatty acids encourage weight loss by activating the enzymes that are responsible for the transportation of fat to where it can be burnt as fuel, instead of being stored in our body. During vigorous exercise, omega-3 fatty acids also improve the flow of blood to our muscles, allowing us to work-out harder and lose even more weight. Lastly, organic chia seeds contain around twice the amount of protein than other types of grain and in a highly digestible form – increasing our protein intake and at the same time reducing our carb intake, can result in considerable and lasting weight loss. One tablespoon of organic chia seeds contains around 10% of our recommended 700mg of calcium per day (some 500% more than fresh milk!). We all know that calcium is essential for strong bones and healthy teeth, and that a lack of it can cause rickets in children and lead to osteoporosis in later life. Yet calcium in isolation is simply not enough to ensure peak bone health. Our body also requires trace minerals, such as boron and magnesium, in order for the calcium to be properly absorbed. Fortunately organic chia seeds contain both, and in good measure (as a matter of fact they possess 1400% more magnesium than broccoli!). Organic chia seeds also contain phosphorus, which our body uses to manufacture protein for cell and tissue growth, and is crucial for healthy teeth and bones. And, as already mentioned, they’re high in omega-3 fatty acids, which make it easier for our body to absorb vitamin D, another vital constituent for optimum teeth and bone heath. A worrying six out of ten UK adults have a total cholesterol level over the recommended limit. Cholesterol is an essential fatty substance or ‘lipid’ that our body needs in order to be able to function correctly. It is manufactured by our liver and found in certain types of food. If our body receives more cholesterol than it can use however, it begins to collect in our artery walls (usually undetected) causing a narrowing of the arteries, blood clots, and heart disease, and can eventually lead to heart attack or stroke. And, it’s not only men who are at risk – the British Heart Foundation estimates that 47% of all Coronary Heart Disease cases in British women could be directly attributed to high cholesterol levels, compared to 45% of male patients. The first step in lowering cholesterol levels is to start enjoying a healthy balanced diet that is low in saturated fats and high in those superfoods that are known to target cholesterol levels, such as organic chia seeds. Organic chia seeds contain large amounts of dietary fibre, which the Linus Pauling Institute Micronutrient Information Center suggests can reduce total and LDL cholesterol (‘bad’ cholesterol) levels, as well as high volumes of omega-3 fatty acids, and in particular alpha-linoleic acid, which the University of Maryland believes helps to lower total cholesterol levels. Organic chia seeds also contain long-chain triglycerides in the just the right ratio to effectively scrub our arteries and free them from the problematic build up of cholesterol. Indeed, a study on diabetic patients by Dr. Vladamir Vuksan of St. Michael’s Hospital in Toronto, found that their blood was thinner and less prone to clotting, and that their blood pressure dropped demonstrably, after consuming chia seeds on a daily basis for just three months. Our love affair with ‘junk food’, which is high in saturated fats and packed with ‘bad’ sugars, in combination with our increasingly sedentary lifestyle, is directly contributing to a marked increase in Type 2 Diabetes. The most common type of diabetes, Type 2 diabetes occurs when our body is either unable to produce enough insulin or the insulin that it produces doesn’t work properly. It’s a chronic disease and a life-long condition that, whilst cannot be cured, can be successfully managed. Losing weight, cutting down on alcohol, stopping smoking and enjoying a healthy balanced diet, are just some of the measures doctors advise for patients diagnosed with type 2 diabetes. And foods that score low on the Glycaemic Index, such as organic chia seeds, are specifically recommended for diabetics. The Glycaemic Index (GI) is a ranking, which measures the effect that foods containing carbohydrates have on our glucose levels. Foods that are absorbed slowly, including organic chia seeds, have a low GI rating, whilst those that are absorbed quickly have a high GI rating. Diabetics who choose for low GI foods can help to stabilise and balance their glucose levels. This nicely was illustrated in ‘The Cochrane Review’, which demonstrated that HbA1c, the measurement used to determine high levels of glucose, can be lowered by as much 0.5 per cent (a normal hbA1c is between 3.5-5.5%) in those with diabetes, simply by following a low GI diet. Research by Diabetes UK also suggests that slow acting carbohydrates can actually reduce the peaks in blood glucose levels that follow a meal and can thus reduce our risk of developing Type 2 Diabetes in the first place. Organic chia seeds benefit from a long shelf life and are extremely versatile, making them a highly cost effective superfood ingredient. Sprinkle yours directly onto salads, breakfast cereals, soups and sauces, or add them to your favourite smoothies, shakes and protein drinks. Alternatively, try soaking organic chia seeds in water and use the resulting gel as a base for your choice of rawfood desserts or to thicken tea. ← Spirulina – supreme supergreen or just the latest hype? Oh snap, thanks so much for posting this! It is going to help when I research Chia Seeds online! Very Fabulous! Chia seeds may have many positive effects. Maybe. I am not sure. But I can certainly recommend them if you are going to carry out any activity connected with severe sweating — like running for 2 hours, etc. They probably bind some water until it’s really necessary to release it and thus make the performance easier.